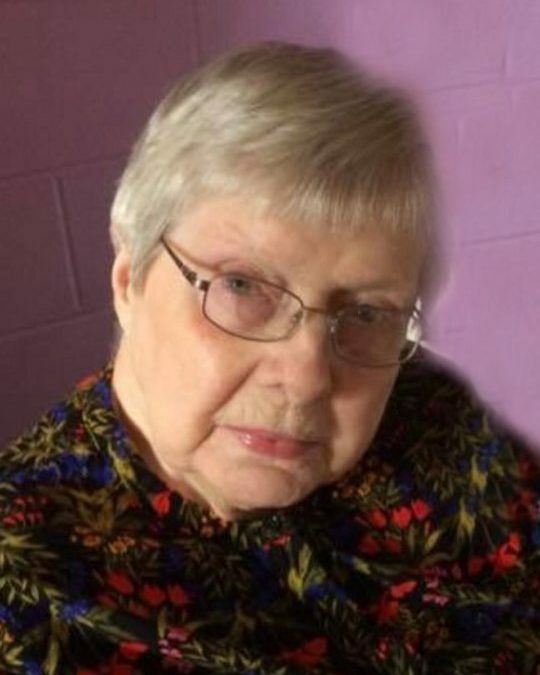 Mary E. Simmons age 94 of Somerset, Kentucky passed away on Thursday, February 22, 2018, at Cumberland Nursing and Rehab Center in Somerset. Mrs. Simmons was born on Friday, December 28, 1923 in Wayne County, Kentucky to the late Wesley and Nina Clines. Mrs. Simmons was a member of the First Christian Church of Monticello, Kentucky. Mr, and Mrs. Simmons were the former owners and operators of Family Billiards formerly located in the Tradewinds Shopping Center. Mary loved spending time with her family, children, grandchildren and great grandchildren. Along with her parents, Mary is preceded in death by, her husband, Charles R. “Bob” Simmons; daughter, Sandra Tarter; sister, Faye Long; brother, John W. Clines; niece, Dawn Clines; and brothers-in-law, Oscar “Poss” Simmons Jr., Dr. John W. Simmons, Gordon “Pud” Simmons, and Jack I Kendrick; sisters-in-law, Lola R. Simmons and Claudia D. Simmons. Mrs. Simmons leaves behind to cherish her memory, daughter, Bobbie (Tim) Picard of Somerset, Kentucky; son in law, Curt Tarter of Somerset, Kentucky; sisters-in-law, Marty Simmons of Lady Lake, Florida and Virginia Clines of Raleigh, North Carolina; three grandchildren, Chuck (Tracie) Tarter, Jean-Claire Picard (Robert Burton), and Jay N. Picard; four great grandchildren, Aaron Tarter, Keely Tarter, Zack Burton, and Xavier Cash Picard; great great granddaughter, Kensley Kate Tarter; nieces, Gina (Kenny) Irvine, Susan (Chuck) Hughes, and Jan Simmons Edmonds; nephew, Thomas G. (Mikki) Simmons; great niece, Mary Kuhn Edwards. Visitation for Mrs. Simmons will be Tuesday, February 27, 2018 from 10-1 P.M. in the Chapel of Southern Oaks Funeral Home. Funeral services will follow at 1 P.M. on Tuesday. Officiated by Dr. Harold Brown, Interment will be in the Lakeside Memorial Gardens. Pallbearers will be; Charles “Chuck” Tarter, Jay N. Picard, G. Aaron Tarter, Josh D. Tarter, Robert G. Burton and Zackary R. Burton. Southern Oaks Funeral Home Entrusted with Mary E. Simmons Arrangements.